When I began working at Walmart 12 years ago, I was a little unsure of how things were going to pan out. I started out as a cashier in the garden center — not a great fit for someone with fair skin and red hair. I went to my managers and told them honestly, “This is not a fit for me.” They listened and helped me to transition to an indoor cashier position, where I started what has become a very fulfilling career. I was told from the start that if I was interested in advancement within the company, our managers would provide the training and personal engagement to make it happen, and I am living proof of their living up to that promise. While very fortunate and thankful to have had that experience, I am not unique. Not only am I one of 300,000 Walmart associates who have worked with the company for more than 10 years, I am also proud to be among the 75 percent of Walmart store management who started as hourly associates. Today, I share my story as an example for the associates at my store and the more than 165,000 Walmart associates throughout Texas, empowered by a corporate culture that believes in and invests in its people. My store opened its doors almost one year ago, and I now oversee 95 associates, many who remind me of myself when I first started with the company. One of the most rewarding aspects of my job is helping these associates understand their potential for advancement and giving them the guidance they need to seize the opportunity. Nothing makes me happier than witnessing the expressions of pride and accomplishment from associates I have the pleasure of promoting. These experiences are a result of a corporate culture that provides a fair start, a clear path and unlimited opportunity. 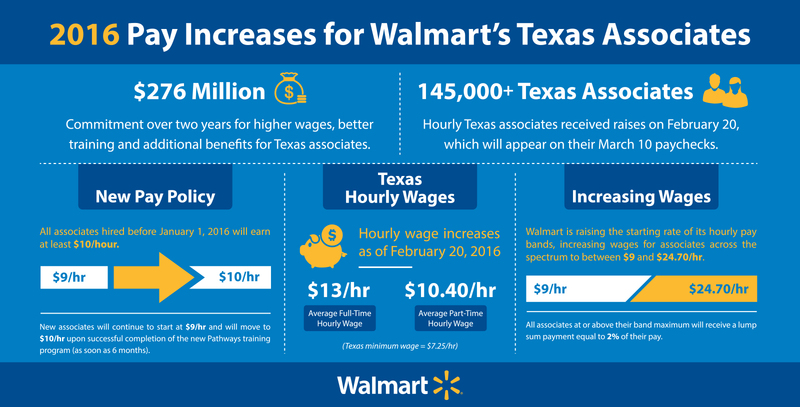 Starting this month, the average wage will be $13 per hour for Walmart’s full-time Texas associates ($5.75 more than the Texas minimum wage) and $10.40 per hour for part-time associates. More than 1.2 million Walmart U.S. and Sam’s Club associates received pay increases on February 20, making it one of the largest single-day, private sector pay increases in history. Across the country, we are instituting onboarding and training programs that will create clear career paths for associates so they understand what is expected of them in order to move from entry level positions to higher paying roles with more responsibility. Through this program, hourly associates will receive hands-on training in areas that include teamwork, merchandising, retail fundamentals and communications. Perhaps most exciting to me is the $2.7 billion investment Walmart is making in 2016 and 2017 to make comprehensive changes in how we grow and develop our people. As part of this commitment, the company is investing $275.6 million in 179,000 additional raises for Texas associates, as well as implementing new short-term disability and simplified paid time off (PTO) programs, which will provide associates greater control over their paid time away from work. Combined with Walmart health benefits available to all associates and their families, training opportunities, and 401(k) retirement savings accounts, the company is helping its associates develop foundations upon which careers like mine can be built. I am excited about working closely with the associates I manage to provide them these opportunities for training and advancement. I am proud to be part of a company that not only employs more Texans than any other, but also demonstrates every day a commitment to improve the lives and careers of people in my community. 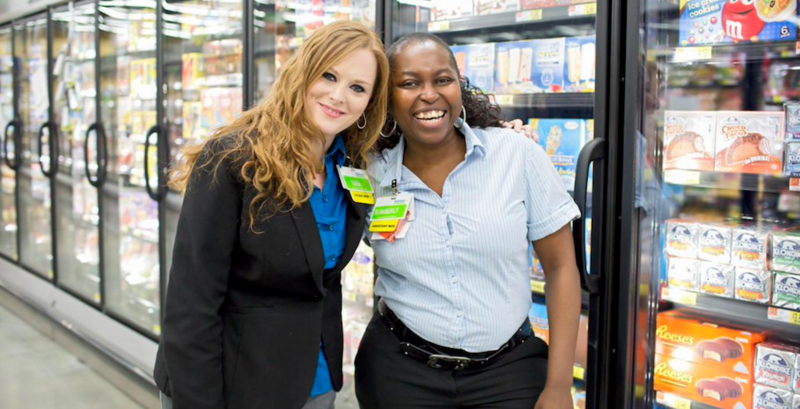 Tara Lovelady is store manager at Walmart Neighborhood Market #7310 in Katy, Texas.